Ingreedy are a start-up with a novel product idea: selling glass jars filled with just the right ingredients to make tasty baked goods at home. The central idea is smart: outsourcing production to the customer adds value, making for an interactive post-purchase experience where there would otherwise be none, while the nice packaging helps too. Ingreedy co-founder Samuel Cox classes himself as a maker of things and has done all sorts of cool things. His interests “wrap around inventing new and diverse approaches to the way we use, play and explore creative & interactive technology” – although in this instance, the technology is cake. But rather than being an inert jar of cereals, I think Ingreedy Jars represent the culture of Makerdom: those increasingly vocal hobbyists who are using the web to share their tips, tricks, hacks and designs. Etsy is a good example of the kind of commerce that the web has enabled for the crafts market, while Instructables provides ‘recipes’ for people make useful stuff themselves. Rules of production are shifting further with costs of 3D printers coming down, and the likes of Makerbot taking on a high-street presence. I think Ingreedy takes elements from each of these, and makes them accessible through their choice of medium. 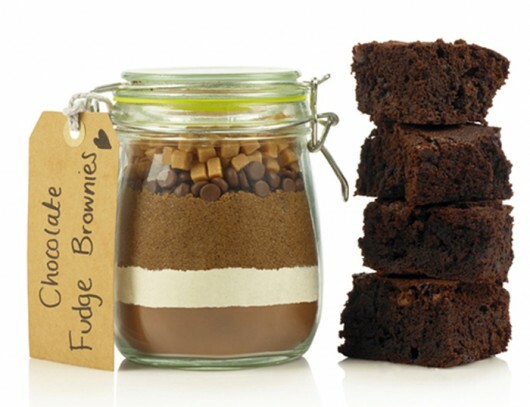 Ingreedy Jars are available in four different mixtures: Rocky Road; Brownies; Chocolate Chip Shortbread and Oaty Raisin Cookies, costing £12.00 each. Orders placed in November will ship in time for Xmas. Next Next post: Q4 Star Mix – New Music!